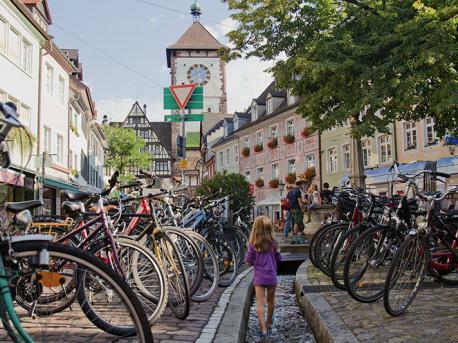 Learn German in the lovely city of Freiburg in Southern Germany, positioned on the edge of the Black Forest. Due to its scenic beauty, pleasant and sunny climate and easy access to the Forest, it is one of our most popular options to take a German course in Germany. Much of life surrounds the Augustinerplatz central square in the old city and was formally the location of an Augustine monastery which later became the Augustinermuseum in 1921. The square is now a social space for Freiburg’s younger residents and has a number of attractive restaurants and bars, including the local brewery ‘Feierling’ which also has a nice beer garden. During the summer hundreds of students enjoy socialising here with guitar music playing in the background. The largest square in the centre of the old city is the Münsterplatz and a farmer’s market takes place here everyday except for Sundays. Freiburg is a famous centre of academics and research, with some of the most intelligent people having lived and worked here. Consequently the city is home to one of Germany’s oldest and most renowned universities, the Albert Ludwigs University of Freiburg along with its medical centre. Located within the city centre is an extensive pedestrian zone where automobiles are banned, contributes to its reputation as being a ‘green’ city – in reality there are few cities in the world cleaner. There is also an excellent public transport system, with a continually expanding train network. There are frequent trains all over German and a notable high-speed service to Basel in Switzerland. The region is served by Basel-Mulhouse-Freiburg International Airport, which is actually located in France. 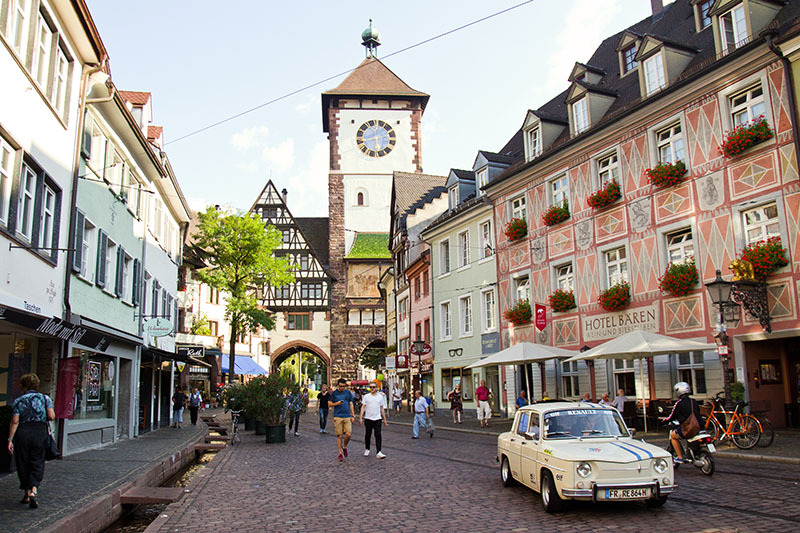 "I was unsure of which German city to visit and a friend recommended Freiburg. I made the right decision because the city was brilliant! There’s plenty to see and do, and a weekend excursion into the Black Forest is a really good idea. My German is steadily getting better and the language teachers were fantastic"